Even though he wore a flowing white beard, his hair remained dark down to old age, so that friends accused him of dyeing it. About six feet tall, dignified and imposing, his friendly manner was well calculated to attract attention and to make friends. A son wrote of him in 1930 that "he carried a great amount of energy and perseverance." 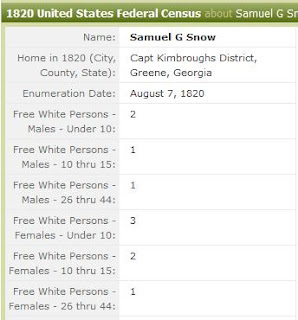 The great-grandfather George Smith, came over from Ireland some time in the 17th century and settled in North Carolina in time for his own son Willis to enlist in the Revolutionary army and meet his death at Bunker Hill. Willis' son, Millington, went west after the war and spent some time in Tennessee before going to Todd County, Kentucky, where our subject was born on Aug. 10, 1810. However, the family shortly settled in Johnson County, Illinois, where the lad grew to manhood. 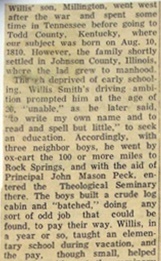 Though deprived of early schooling, Willis Smith's driving ambition prompted him at the age of 20, "unable," as he later said, "to write my own name and to read and spell but little," to seek an education. Accordingly, with three neighbor boys, he went by ox-cart the 100 or more miles to Rock Springs, and with the aid of Principal John Mason Peck, entered the Theological Seminary there. The boys built a crude log cabin and "batched" doing any sort of odd job that could be found, to pay their way. 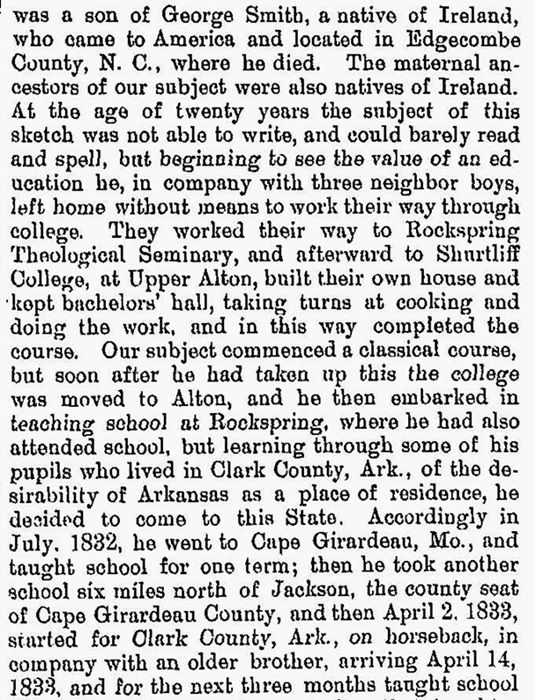 Willis, in a year or so, taught an elementary school during vacation, and the pay, though small, helped with his tuition at the seminary and later at Shurtliff College at Alton, where he finished the college work and was graduated. There had developed so close a friendship with Dr. Peck that Smith would in a few years name a son for him, and would write, late in life, that the "tie has never been broken or forgotten." In the summer school he had taught he learned from a pupil who came from Clark County, Ark., of the opportunities available in that state, and "pulling up stakes," he left immediately. Stopping en route in Cape Girardeau County, Mo., he lingered long enough to teach two terms of school. Then, accompanied by an older brother, he journeyed horseback to a place near the present Okolona, where he taught a three months term before leaving for nearby Rome at that time a thriving little village, now a ghost town, to teach for a whole year. 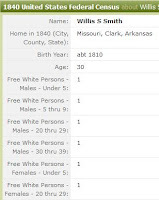 Young Smith must have had a winning way about him for two years after--1835--he offered for and was elected sheriff of the county at the age of 26. In that capacity he was to serve the people for eight years and until voluntary retirement. For seven of those years the county seat was at Greenville, near the present Hollywood. His last year in office was at Arkadelphia, to which the seat was removed in 1842. 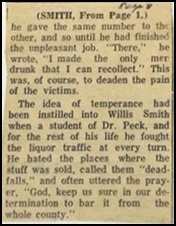 It was nearly half a century later that Willis Smith wrote reminiscent articles for the Southern Standard and Gurdon Advocate. Some of the articles give thrilling accounts of court proceedings during his incumbancy as sheriff. One of the cases described that of John H. Mosely, indicted as accessory before the fact of stealing horses from Indians who were being sent south along the old military road. Horse stealing in that day was a capital offense, and Mosely's prominence made the trial a matter of county-wide interest. Such outstanding lawyers as Albert Pike and Grandison Royston took part and a verdict of guilty was returned and sentence of death pronounced. The date for the hanging was set for 20 days later, and sheriff Smith had to employ a dozen deputies to guard the insecure jailhouse. The day for execution came, the prisoner was shrouded, and seated upon his coffin, was started for the gallows. At the very last minute one of his lawyers galloped up with a reprieve from Governor Conway. A little later came a full pardon, whereupon Mosely said to a crowd of his friends who had gathered, "Come up to the grocery, boys, and have a drink!" Another case involved the then legal penalty of laying on the lash. There were two defendants, both found guilty. One was sentenced to stand in the pillory two hours, "take 79 lashed on his bare back," and remain in jail for another 24 hours. The other was to get only 50 lashes. Smith wrote that he gave one ten strokes of the whip and let him rest while he gave the same number to the other, and so until he had finished the unpleasant job. "There," he wrote, "I made the only men drunk that I can recollect." This was, of course, to deaden the pain of the victims. The idea of temperance had been instilled into Willis Smith when a student of Dr. Peck, and for the rest of his life he fought the liquor traffic at every turn. He hated the places where the stuff was sold, called them "dead-falls," and often uttered the prayer, "God, keep us sure in our determination to bar it from the whole county." 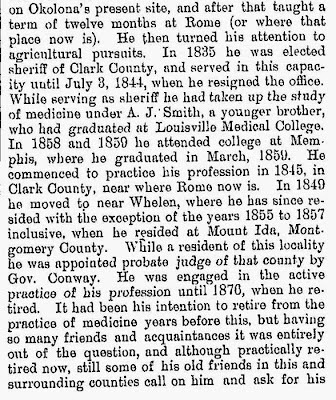 At some time during his years as sheriff, Smith took up the study of medicine under a younger brother who was a graduate of Louisville Medical College. 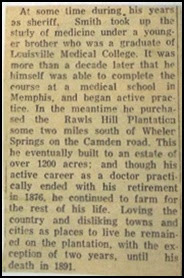 It was more than a decade later that he himself was able to complete the course at a medical school in Memphis, and began active practice. In the meantime he purchased the Rawls Hill Plantation some two miles south of Whelen Springs on the Camden road. This he eventually built to an estate of over 1200 acres; and though his active career as a doctor practically ended with his retirement in 1876, he continued to farm for the rest of his life. 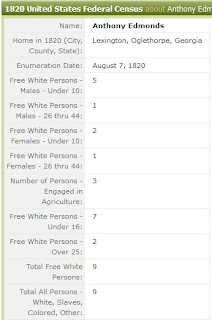 Loving the country and disliking towns and cities as places to live he remained on the plantation, with the exception of two years, until his death in 1891. Those two years were spent at Mt. Ida, where he waited on the sick while serving Montgomery County as Judge by appointment of the governor. Only persons now in middle life, or near it, can recall the old-time country doctor, who carried his medicines in his "pill-bag," looked after the ill and afflicted without benefit of trained nurses, and often stayed at a bedside all night to save a patient's life. Dr. Smith's account book covering the years 1851-60 listed many visits over a wide range of country, with fees charged and prices of medicines and treatment. 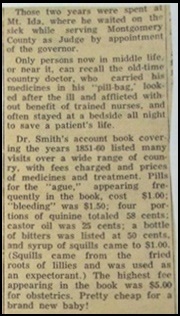 Pills for "ague," appearing frequently in the book, cost $1.00; "bleeding" was $1.50; four portions of quinine totaled 58 cents; castor oil was 25 cents; a bottle of bitters was listed at 50 cents, and syrup of squills came to $1.00. (Squills came from the fried roots of lillies and was used as an expectorant.) The highest fee appearing in the book was $5.00 for obstetrics. Pretty cheap for a brand new baby! Willis Smith's family life was happy through two marriages; the first to Miss Margaret Janes and the second to Mrs. Martha Harris. 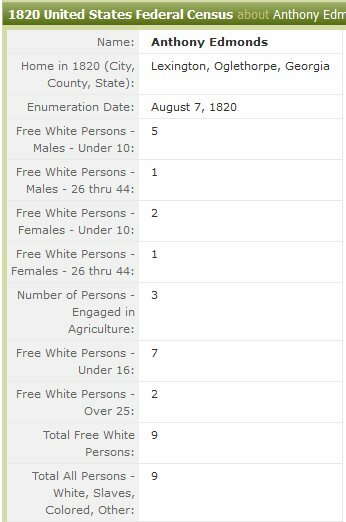 To the first union came 8, and to the second 7 children. His character exemplified high morals and sound religious beliefs. He was a Council Mason, and from the age of 20 an ardent member of the Baptist church. 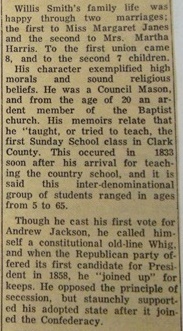 His memoirs relate that he "taught, or tried to teach," the first Sunday School class in Clark County. This occurred in 1833 soon after his arrival for teaching the country school, and it is said this inter-denominational group of students ranged in ages from 5 to 65. Though he cast his first vote for Andrew Jackson, he called himself a constitutional old-line Whig, and when the Republican party offered its first candidate for President in 1858, he "joined up" for keeps. He opposed on principle of secession, but staunchly supported his adopted state after it joined the Confederacy. 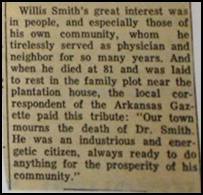 Willis Smith's great interest was in people, and especially those of his own community, who he tirelessly served as physician and neighbor for so many years. 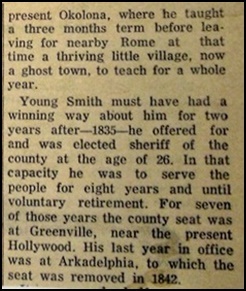 And when he died at 81 and was laid to rest in the family plot near the plantation house, the local correspondent of the Arkansas Gazette paid this tribute: "Our town mourns the death of Dr. Smith. He was an industrious and energetic citizen, always ready to do anything for the prosperity of his community." 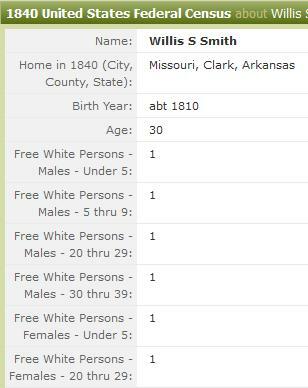 Willis S. Smith, M.D., one of the most prominent old settlers of Arkansas, was born in Todd County, Ky., near Elkton (then Logan County), August 10, 1810, the fifth of twelve children--nine sons and three daughters--born to Millington and Barbara (Barton) Smith, natives of Edgecombe County, N. C. They were married in Stewart County, Tenn., and in 1808 moved from Tennessee to Western Kentucky, the father being the first man to begin improvements in Russellville, Ky. In 1810, the same year the subject of this sketch was born, his parents moved back to Stewart County (where Fort Donelson now is), and in 1817 removed to Johnson County, Ill., where he and wife both died, the former in 1836 in his seventy-sixth year, and the latter in 1832 at the age of fifty-two years. They were both members of the Baptist Church for many years, and were zealous workers in the same. 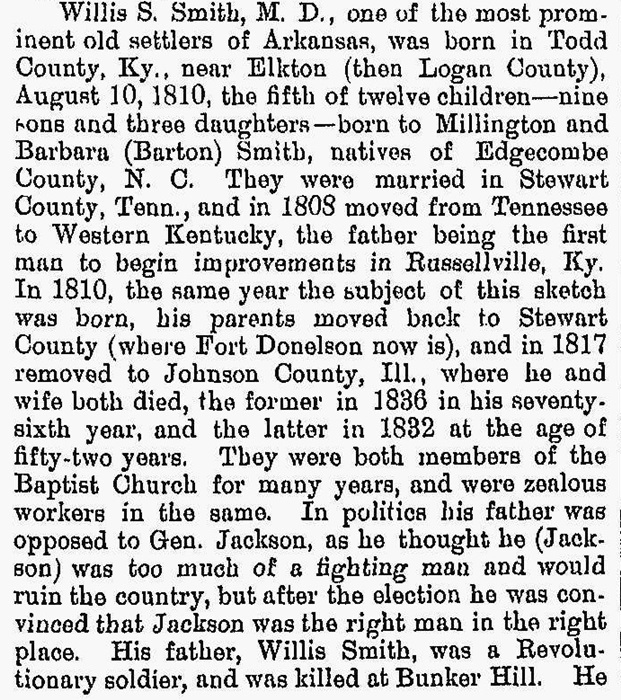 In politics his father was opposed to Gen. Jackson, as he thought he (Jackson) was too much of a fighting man and would ruin the country, but after the election he was convinced that Jackson was the right man in the right place. His father, Willis Smith, was a Revolutionary soldier, and was killed at Bunker Hill. 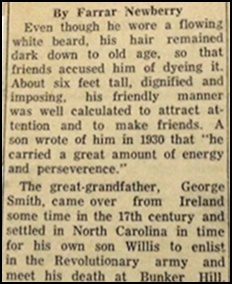 He was a son of George Smith, a native of Ireland, who came to America and located in Edgecombe County, N.C., where he died. 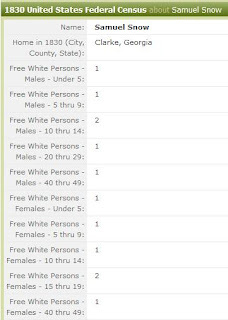 The maternal ancestors of our subject were also natives of Ireland. At the age of twenty years the subject of this sketch was not able to write, and could barely read and spell, but beginning to see the value of an education he, in company with three neighbor boys, left home without means to work their way through college. 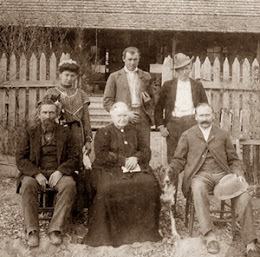 They worked their way to Rockspring Theological Seminary, and afterward to Shurtliff College, at Upper Alton, built their own house and kept bachelors' hall, taking turns at cooking and doing the work, and in this way completed the course. 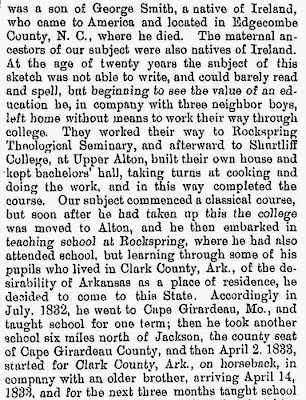 Our subject commenced a classical course, but soon after he had taken up this the college was moved to Alton, and he then embarked in teaching school at Rockspring, where he had also attended school, but learning through some of his pupils who lived in Clark County, Ark., of the desirability of Arkansas as a place of residence, he decided to come to this state. 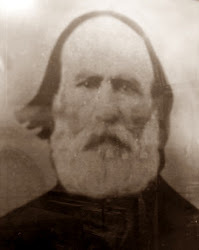 Accordingly in July, 1832, he went to Cape Girardeau, Mo., and taught school for one term; then he took another school six miles north of Jackson, the county seat of Cape Girardeau County, and then April 2, 1833, started for Clark County, Ark., on horseback, in company with an older brother, arriving April 14, 1833, and for the next three months taught school on Okolona's present site, and after that taught a term of twelve months at Rome (or where that place now is). He then turned his attention to agricultural pursuits. In 1835 he was elected sheriff of Clark County, and served in this capacity until July 3, 1844, when he resigned the office. While serving as sheriff he had taken up the study of medicine under A. J. Smith, a younger brother, who had graduated at Louisville Medical College. In 1858 and 1859 he attended college at Memphis, where he graduated in March, 1859. He commenced to practice his profession in 1845, in Clark County, near where Rome now is. 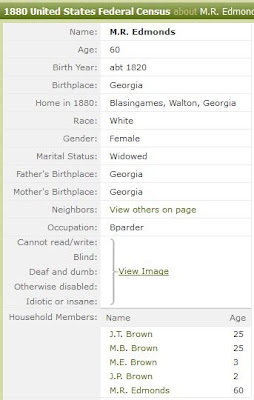 In 1849 he moved to near Whelen, where he has since resided with the exception of the years 1855 to 1857 inclusive, when he resided at Mount Ida, Montgomery County. 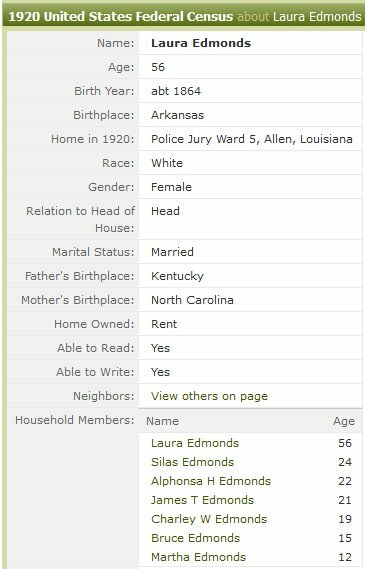 While a resident of this locality he was appointed probate judge of that county by Gov. Conway. He was engaged in the active practice of his profession until 1876, when he retired. 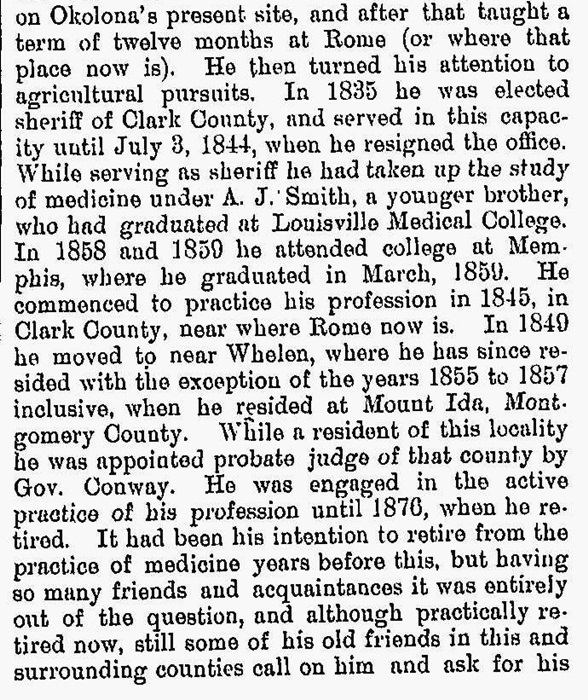 It had been his intention to retire from the practice of medicine years before this, but having so many friends and acquaintances it was entirely out of the question, and although practically retired now, still some of his old friends in this and surrounding counties call on him and ask for his professional aid. 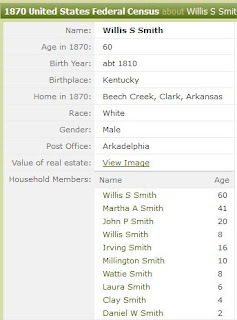 Dr. Smith is the owner of the home plantation, consisting of 1,230 acres, known as Rawl's Hills Plantation, and ever since his arrival in this county has had farming done. During the late war he was a Union man first, last and always, but submitted to the laws of his country. 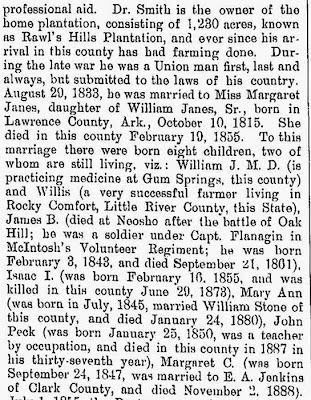 August 29, 1833, he married to Miss Margaret Janes, daughter of William Janes, Sr., born in Lawrence County, Ark., October 10, 1815. 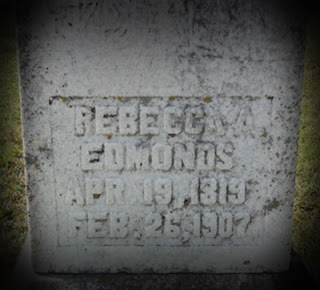 She died in this county February 19, 1855. To this marriage there were born eight children, two of whom are still living, viz. : William J. M.D. 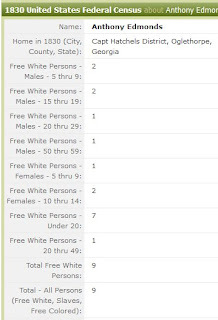 (is practicing medicine in Gum Springs, this county) and Willis ( a very successful farmer living in Rocky Comfort, Little River County, this State), James B. 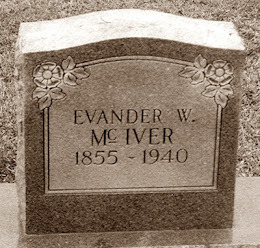 (died at Neosho after the battle of Oak Hill; he was a soldier under Capt. 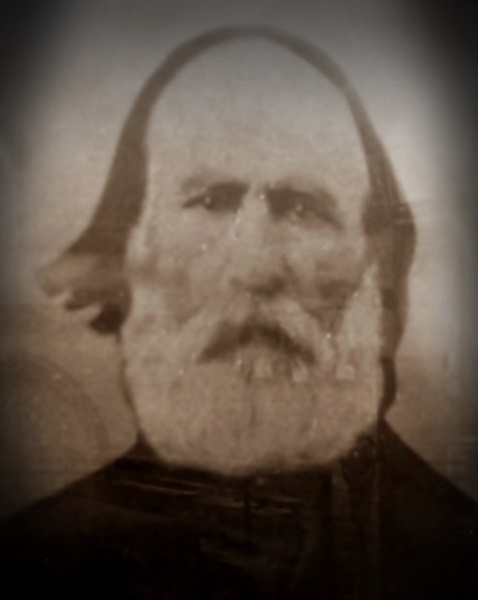 Flanagin in McIntosh's Volunteer Regiment; he was born February 3, 1843, and died September 21, 1861), Isaac I. 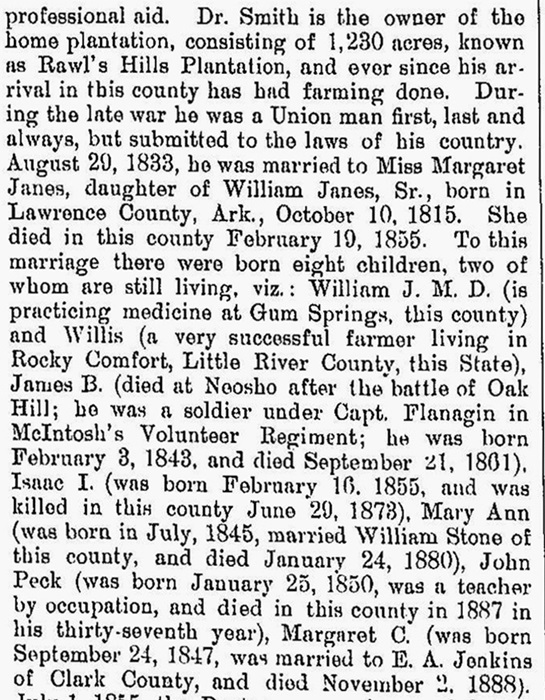 (was born February 16, 1855, and was killed in this county June 29, 1873), Mary Ann (was born in July, 1845, married William Stone of this county, and died January 24, 1880), John Peck (was born January 25, 1850, was a teacher by occupation, and died in this county in 1887 in his thirty-seventh year), Margaret C. (was born September 24, 1847, was married to E. A. Jenkins of Clark County and died November 2, 1888). 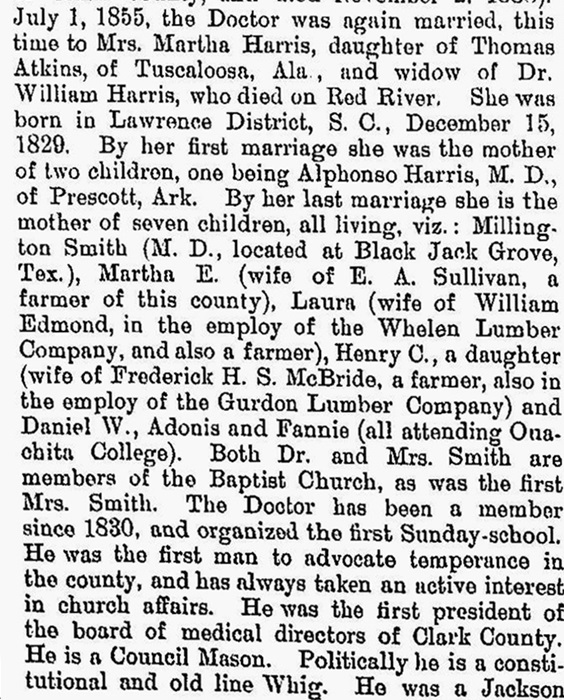 July 1, 1855, the Doctor was again married, this time to Mrs. Martha Harris, daughter of Thomas Atkins, of Tuscaloosa, Ala., and widow of Dr. William Harris, who died on Red River. 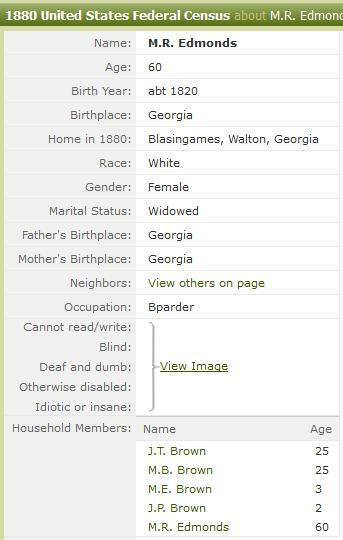 She was born in Lawrence District, S.C., December 15, 1829. 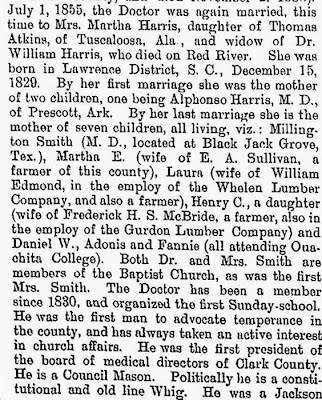 By her first marriage she was the mother of two children, one being Alphonso Harris, M.D., of Prescott, Arks. By her last marriage she is the mother of seven children, all living, viz. 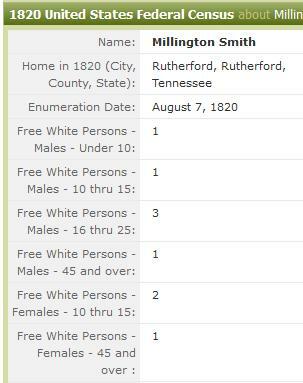 : Millington Smith (M.D., located at Black Jack Grove, Tex. 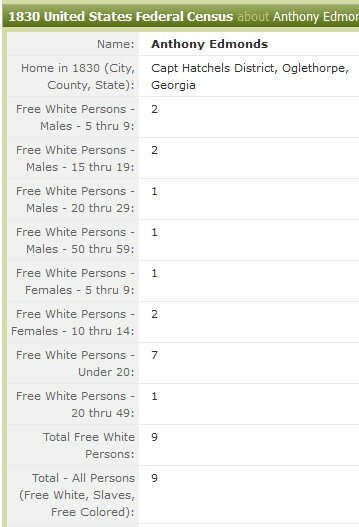 ), Martha E. (wife of E. A. Sullivan, a farmer of this county), Laura (wife of William Edmonds, in the employ of the Whelen Lumber Company, and also a farmer), Henry C., a daughter (wife of Frederick H.S. McBride, a farmer, also in the employ of the Gurdon Lumber Company) and Daniel W., Adonis and Fannie (all attending Ouachita College). 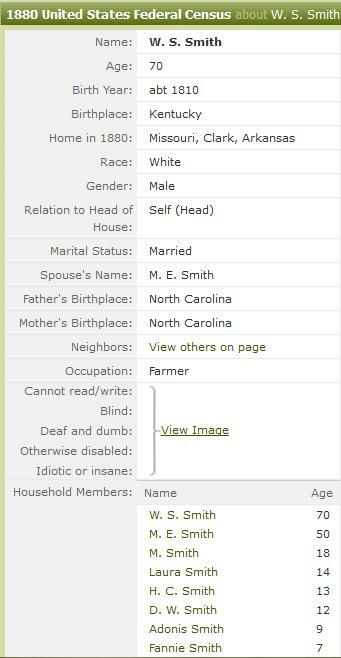 Both Dr. and Mrs. Smith are members of the Baptist Church, as was the first Mrs. Smith. 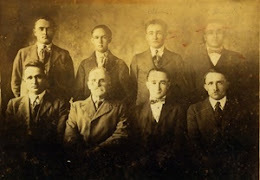 The Doctor has been a member since 1830, and organized the first Sunday-school. 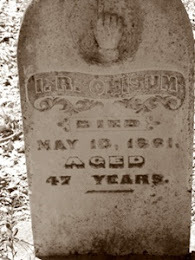 He was the first man to advocate temperance in the county. and has always taken an active interest in church affairs. He was the first president of the board of medical directors of Clark County. He is a Council Mason. Politically he is a constitutional and old line Whig. He was a Jackson man, casting his first vote for Gen. Jackson. After that he was a Whig, opposed to secession, and since the organization he has been a staunch Republican, voting that ticket in all national affairs, but in county politics he votes to the best interests of his county. 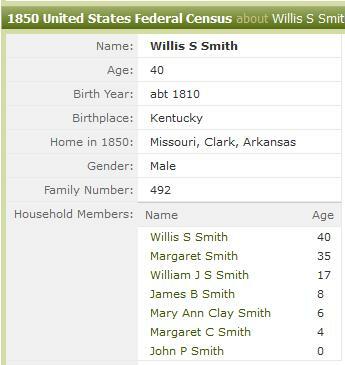 Willis S. Smith was born in Elkton, Todd County (formerly Logan County), Kentucky on August 10, 1810. He was the son of Millington Smith and Barbara Barton. 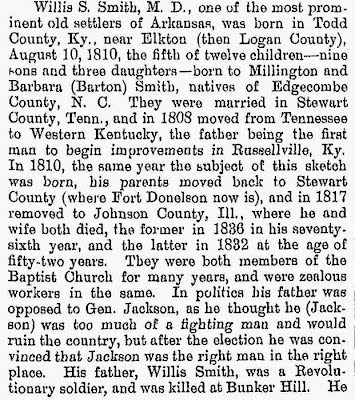 Willis S. Smith's siblings included Barnwell, William, Barnabas, James, Cardwell, Shurtliff, Unity, Millington, Isaac, Andrew and Thomas Smith. 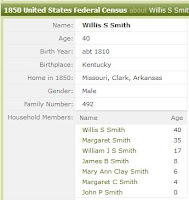 According to family records, Willis S. Smith married Margaret Janes in Tennessee on August 29, 1833. 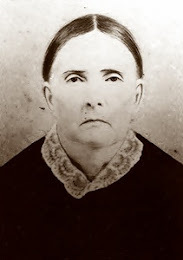 Margaret Janes Smith died on February 19, 1855, three days after the birth of her last child, Isaac Irvin. 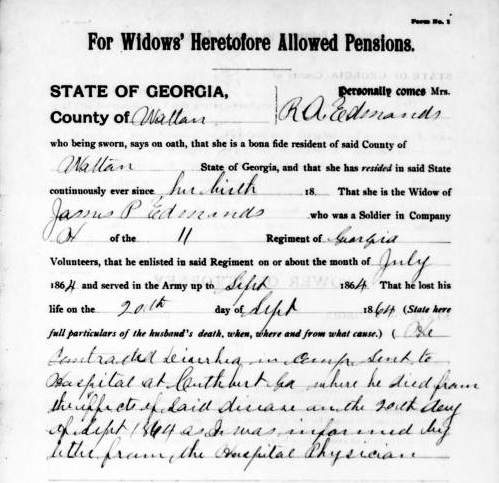 Willis S. Smith married a second time to Martha Elizabeth Atkins Harris on July 1, 1855. Martha was a recent widower with two children, Alphonso and Mary. 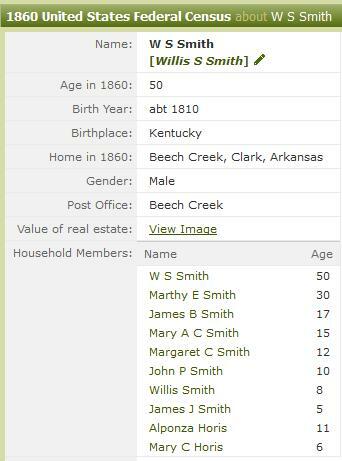 Willis S. Smith passed from this life on May 20, 1891 at the age of 80. 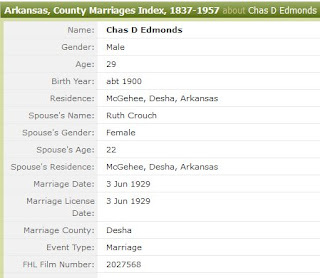 He is buried in the family cemetery on Rawls Hills Plantation, Clark County, Arkansas. 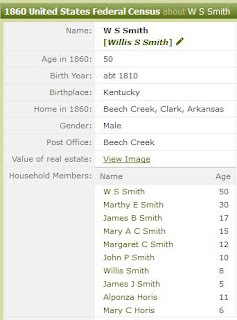 Willis S. Smith was my great-great grandfather. Rebecca Ann Snow was born in Greene County, Georgia on April 19, 1819. 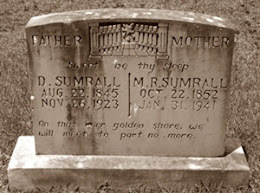 She was the daughter of Samuel G. and Polly Copeland Snow. 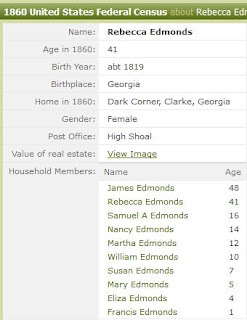 Rebecca's siblings included William, Henry S., Nancy Dorsey, James P., Francis John "Jack", and Mary Elizabeth Snow. 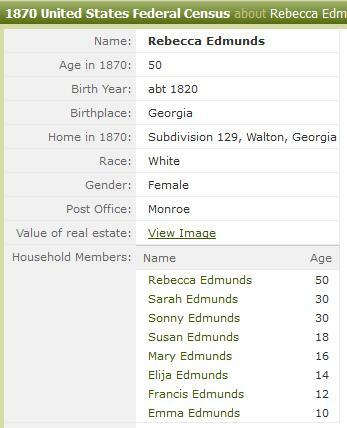 On November 2, 1838, Rebecca married James Powell Edmonds in Walton County, Georgia. 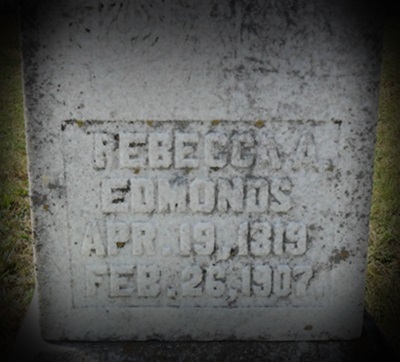 Rebecca Ann Snow Edmonds passed from this life on February 26, 1907. She is buried in the Rest Haven Cemetery in Monroe, Walton County, Georgia. Tombstone photograph is courtesy of GA Firefighter at FindAGrave.com. 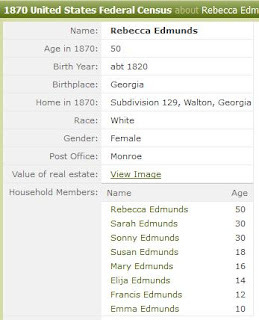 Rebecca Ann Snow Edmonds was my great-great grandmother. 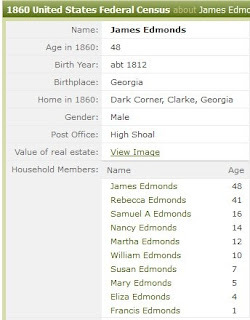 My three-great grandfather, James Luther Smith, built the original house for his granddaughter, Mary Virginia "Mollie" Blackman and her husband, Isham Alfonso "Al" Steele. In the beginning, the house had only four rooms and a kitchen. The front room was built some time prior to 1900 as Mollie and Al's daughter, Mary Allye, was born in this room on March 9, 1900. The storm cellar seen in the photograph above was built prior to 1911 by a white mustached man referred to as "the Irishman." 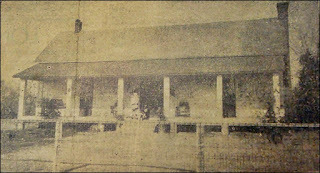 A long porch was built across the front of the house in 1922 by Mr. Tom Hardin and a bigger kitchen was built ca. 1925. 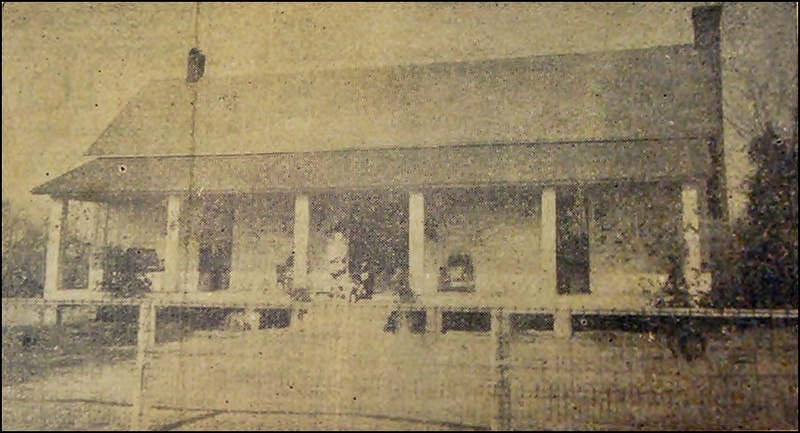 The side porch was built in the early 1930s. Our parents rented the Steele house in 1912. That was indeed a terrible year for our family. Mearine, Luceil, Darris and Ollie had typhoid fever. The only help our parents could get was an old colored woman named, Annie Barkshire. There seemed to be many tornadoes or hurricanes at this time. 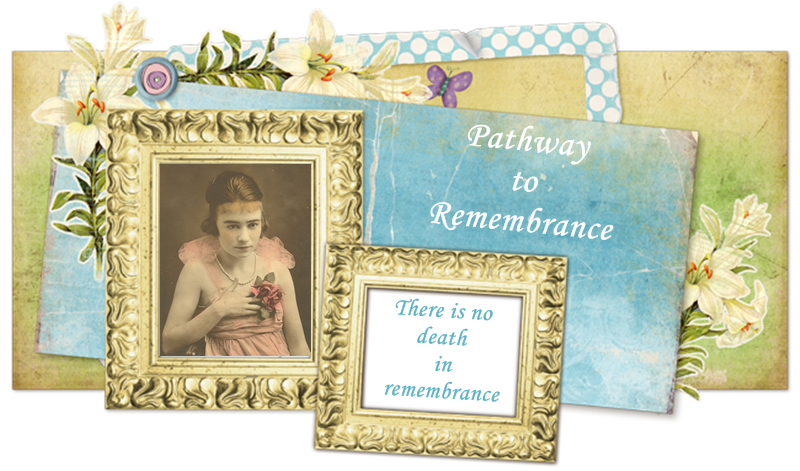 There was a storm cellar in the side yard in easy access to the front porch, in which our parents kept a lantern, plenty of matches in a can, fresh water was kept in jars or bottles, also quilts for us to sleep upon. There were benches in the storm cellar. Annie Barkshire always came to our house to join us in the storm cellar. Our parents always had a big can that had a top on it, in which they kept canned foods, vienna sausage, potted meat, crackers and cookies. If Mama had time, when we went to the storm cellar, she took cottage cheese that she had made, also fresh milk. Fortunately, we never had to stay in the storm cellar long enough to use up all the food. However, you can imagine with four hungry girls, Annie Barksire, and Mama and Papa, that a great deal of nourishment was consumed. In 1912, Claude and Vivian Martin Enright were living in the Steele house where their son, Claude Martin Enright was born. 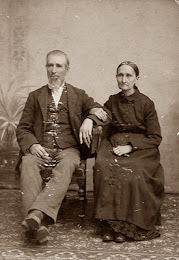 Robert Otis Moss and Marion Smith were married in the Steele house ca. 1922. Sisters, Sarah Virginia and Evelyn Steele Ogden, were born in the Steele house in 1922 and 1926, respectively. 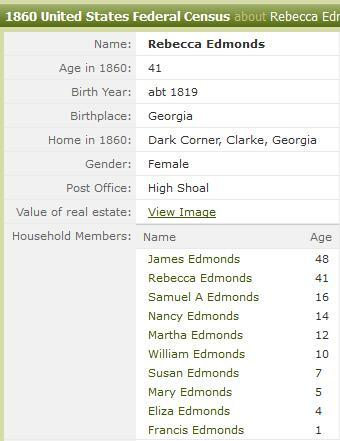 My grandparents, Bruce and Mary Allye Steele Edmonds lived in the Steele house until 1958 when they swapped houses with their son (my father), Bruce Alfonso Edmonds and his family. The old Steele house is gone now. Fire destroyed it about twenty years ago. I grew up in this house. Many years were spent playing under the old pecan trees planted over 100 years ago by my great-grandfather, Al Steele. We never had to use the storm cellar for protection from tornadoes and hurricanes but it made the perfect fort for playing cowboys and indians with my brothers and friends. 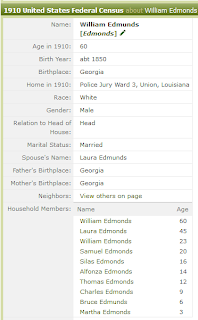 James Powell Edmonds was born in Oglethorpe County, Georgia ca. 1812. He was the son of Anthony and Keziah Edmonds. Keziah's maiden name is unknown at this time. On November 22, 1838, James Powell Edmonds married Rebecca Ann Snow in Walton County, Georgia. 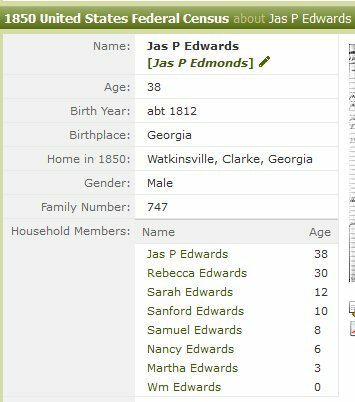 In 1840, James Powell and Rebecca are living with her mother, Polly Snow, in Clarke County, Georgia. 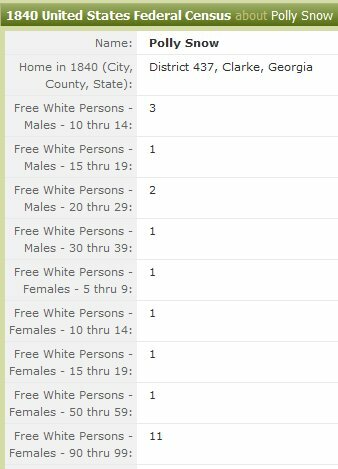 By the 1850 census, James Powell and Rebecca are living in Watkinsville, Clarke County, Georgia with six of their eleven children. 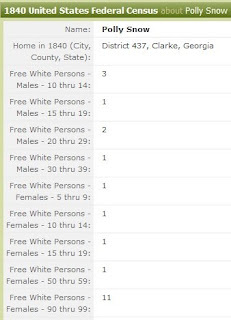 The 1860 census shows the family living in Dark Corner, Clarke County, Georgia with eight of their eleven children. 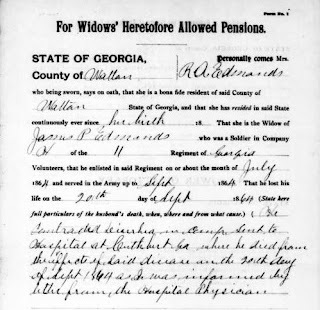 In July of 1864, James Powell Edmonds joined the Georgia Volunteers where he served in the 11th Regiment, Company H, Georgia Infantry. He became ill and was admitted to a hospital in Cuthbert, Randolph County, Georgia where he died on September 20, 1864. 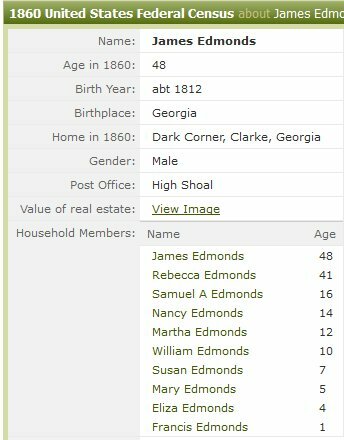 James Powell Edmonds was my great-great grandfather. 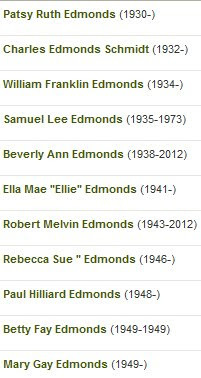 Charlie and Bruce were the sons of William Newell Edmonds and Laura Smith. Both were born in Whelen Springs, Clark County, Arkansas. Charles Douglas "Charlie" was born on September 13, 1900 and Bruce was born on January 23, 1904. 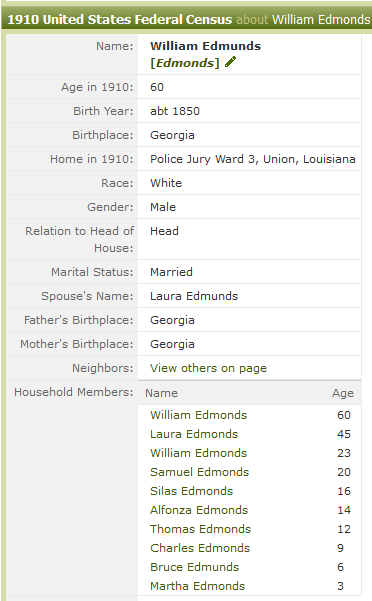 The 1910 and 1920 census records show the family living in Union Parish and Allen Parish, Louisiana, respectively. Bruce married Mary Allye Steele on March 29, 1926. 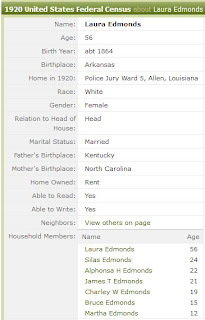 They made their home in Sicily Island, Catahoula Parish, Louisiana where they had one son, Bruce Alfonso Edmonds. 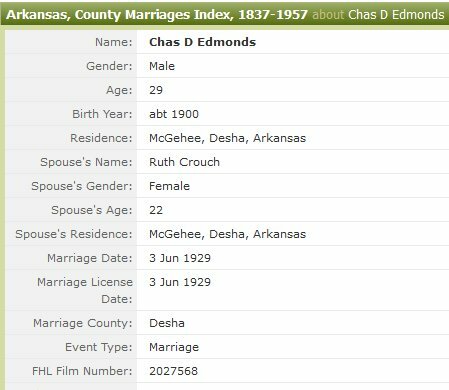 On June 3, 1929, Charlie married Ruth Crouch in McGehee, Desha County, Arkansas. Though living in different states, the two brothers remained close. 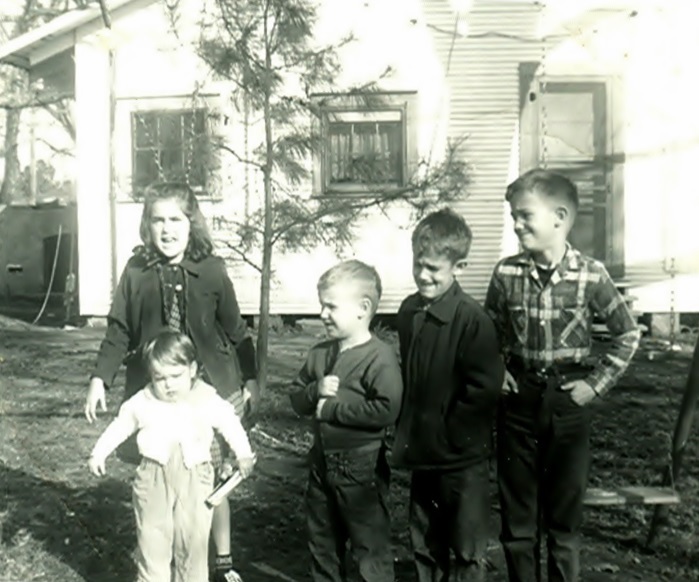 Old home movies captured visits between the brothers over the years. 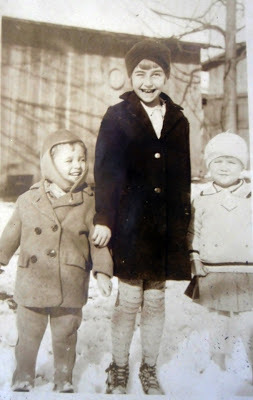 Below is one of the last photographs of the brothers together. 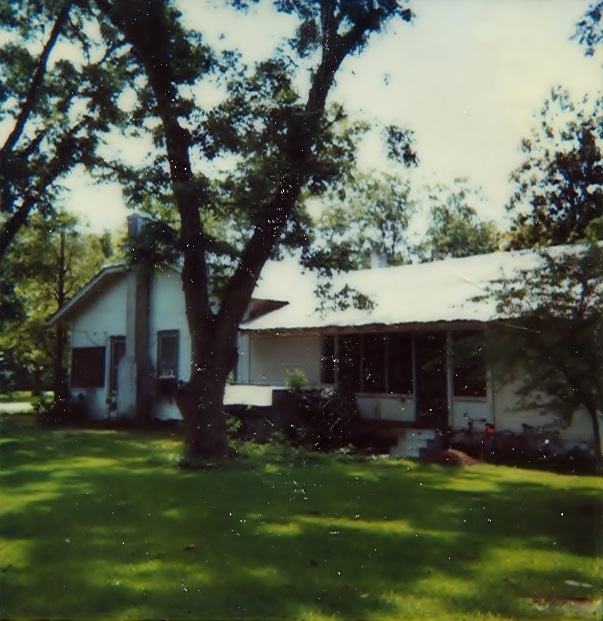 It was taken in Gurdon, Arkansas prior to Bruce's death in 1974. I was born and raised in Sicily Island, a tiny village in Catahoula Parish, Louisiana. Although I no longer live on the Island, I am still blessed to live in the South and only a couple of hundred miles from home.